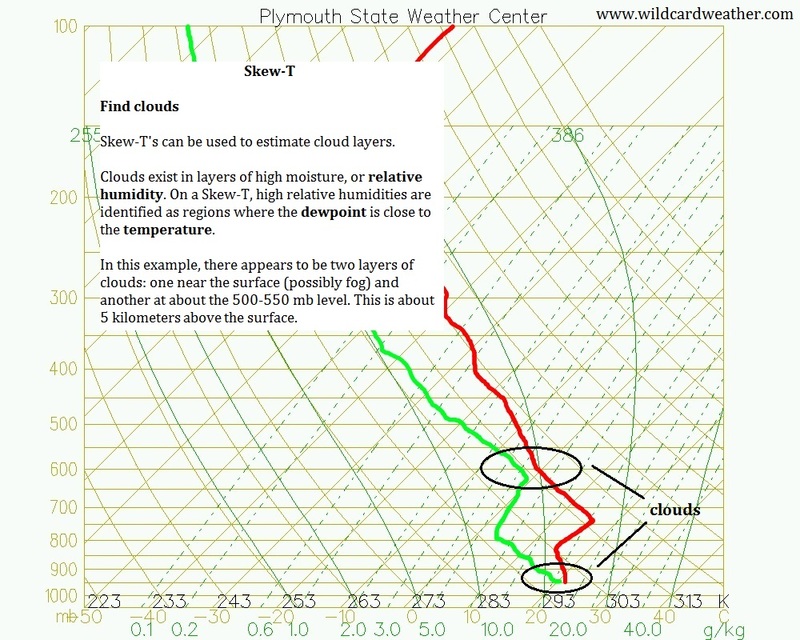 When a radiosonde, more commonly known as a weather balloon, is launched, it records a large amount of data. 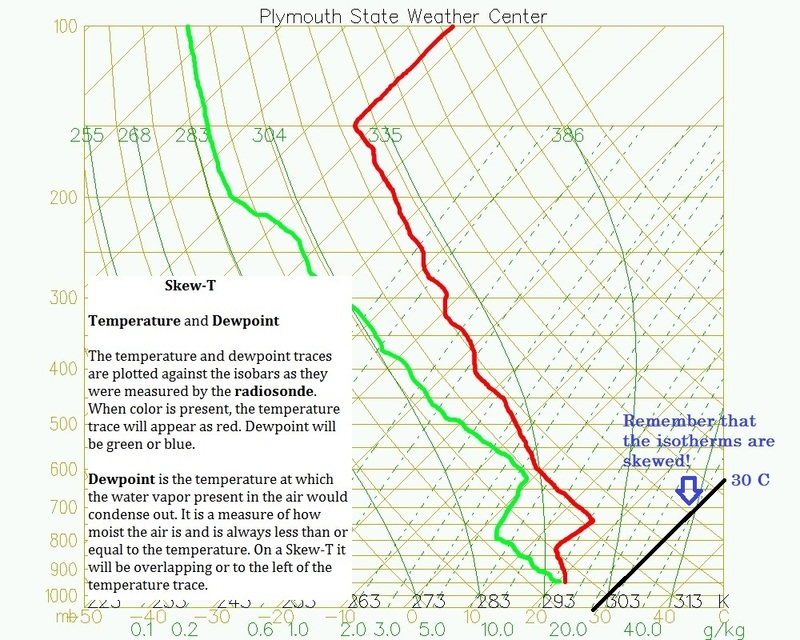 Temperature, dewpoint, and atmospheric pressure are all measured as it rises. 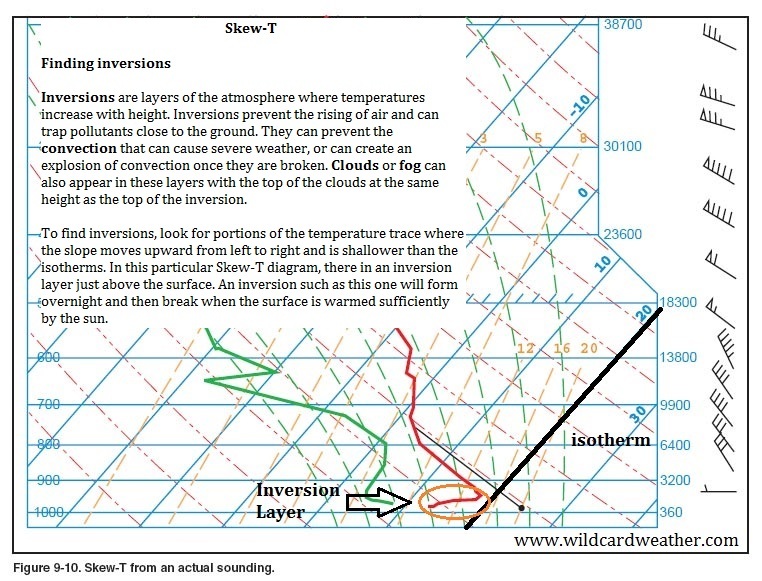 It is an upper-air sounding, a way to gather meteorological observations beyond the reach of towers. 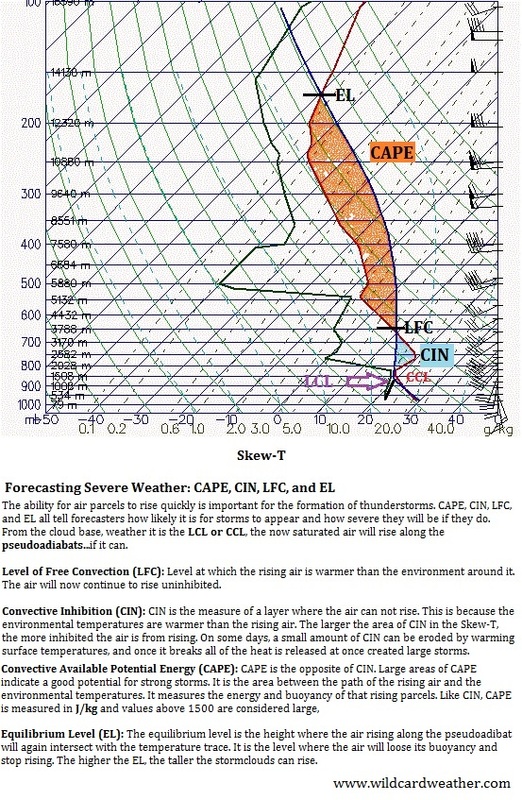 The National Weather Service (NWS) launches weather balloons from each of it’s forecast offices twice a day, at 00 and 12 Universal Time (UTC). 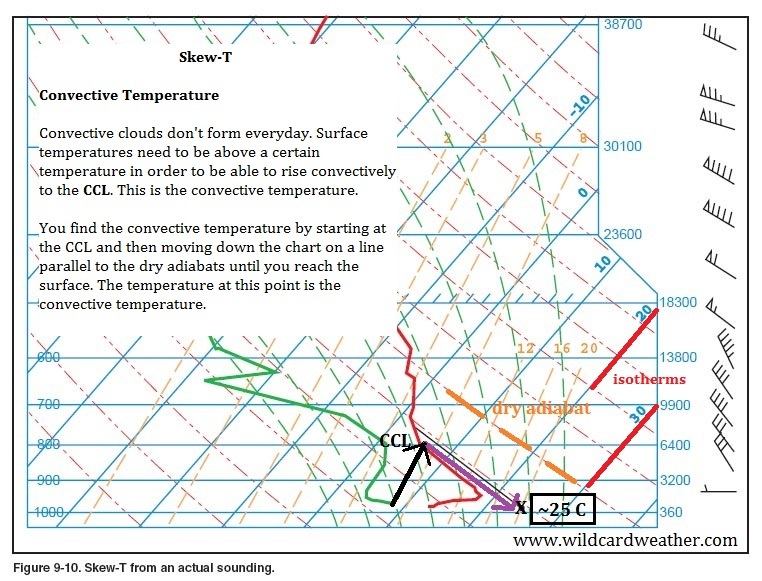 00 and 12 UTC equals 7 AM and 7 PM EST. 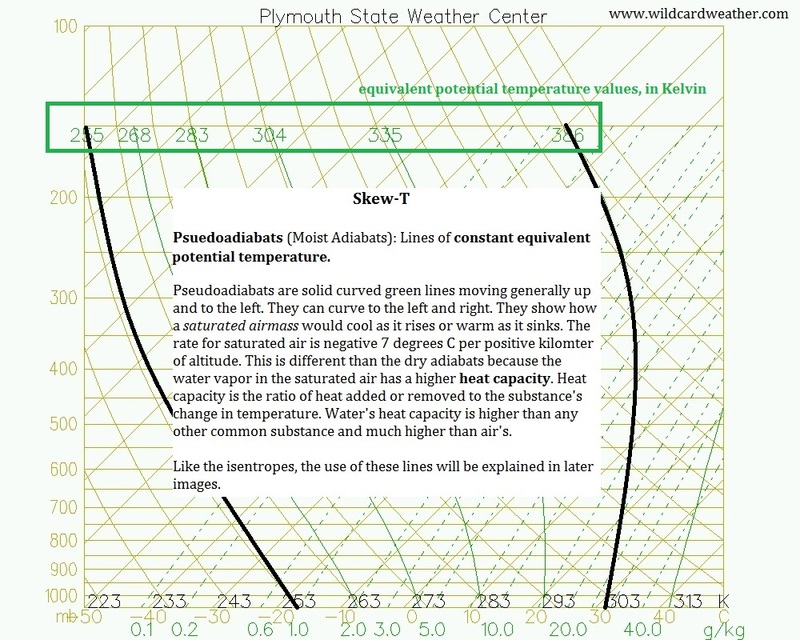 Think of UTC as the meteorologist’s Greenwich Mean Time (GMT). 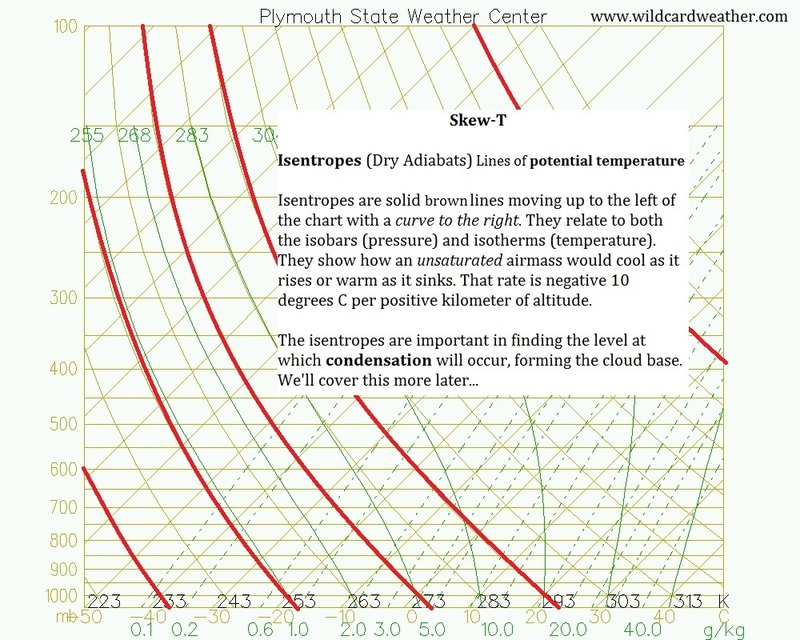 For a full rundown of weather balloons and how they are used, visit an earlier post called Radiosondes (Weather Balloons) and Their Role in Forecasting. 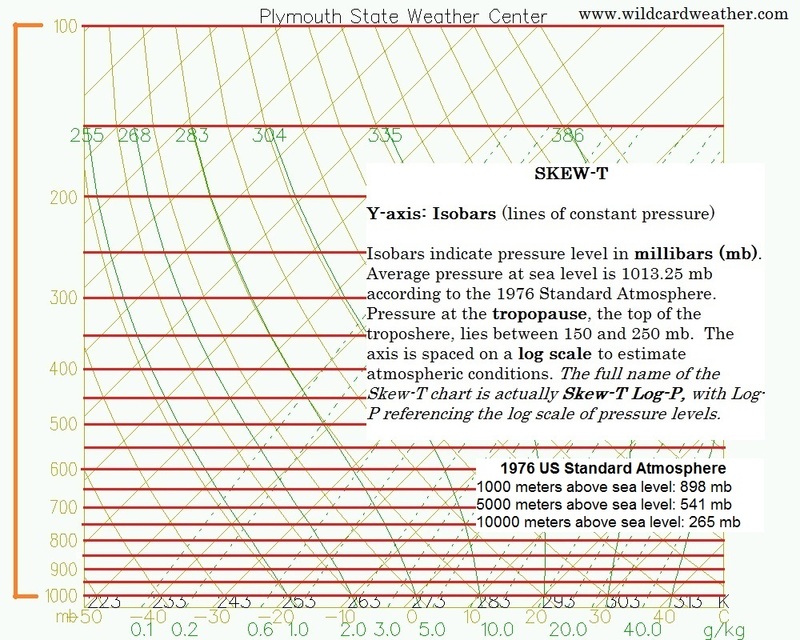 All of the data recorded by the radiosonde is put into a chart known as a Skew-T Log-P Diagram. 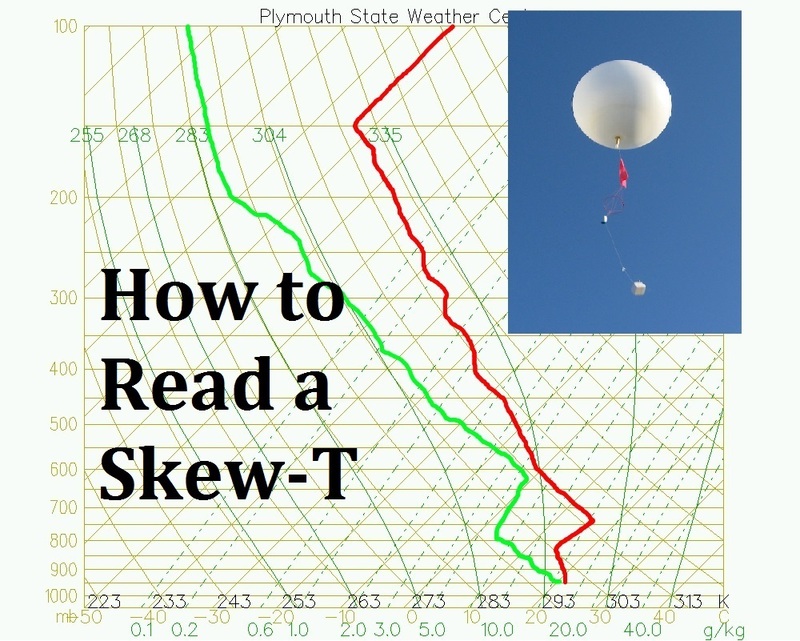 Known mostly as just Skew-T, is a quick way for meteorologists to analyze and characterize the environment. 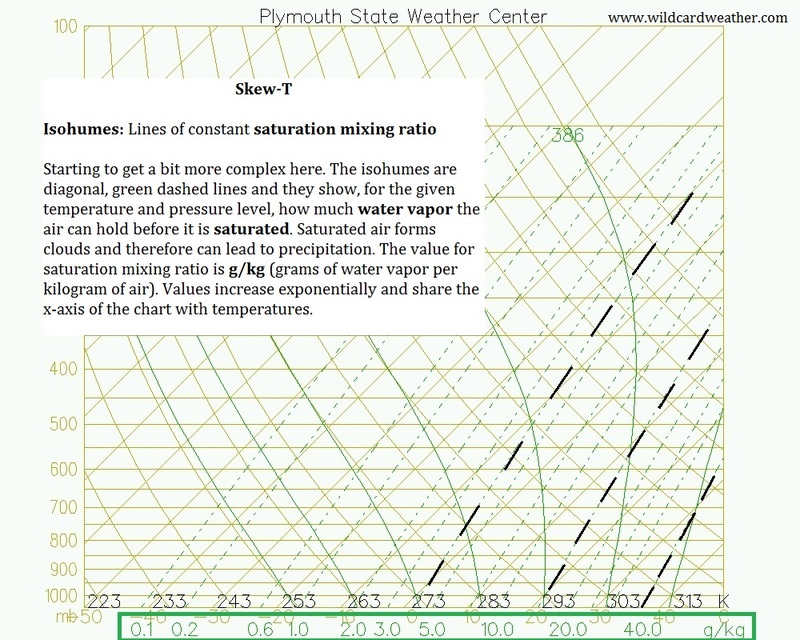 What I’d like to do today is explain the Skew-T to you and a simplified way, using images. I will cover how to read it and then a how to use it, albeit in a simplified manner. 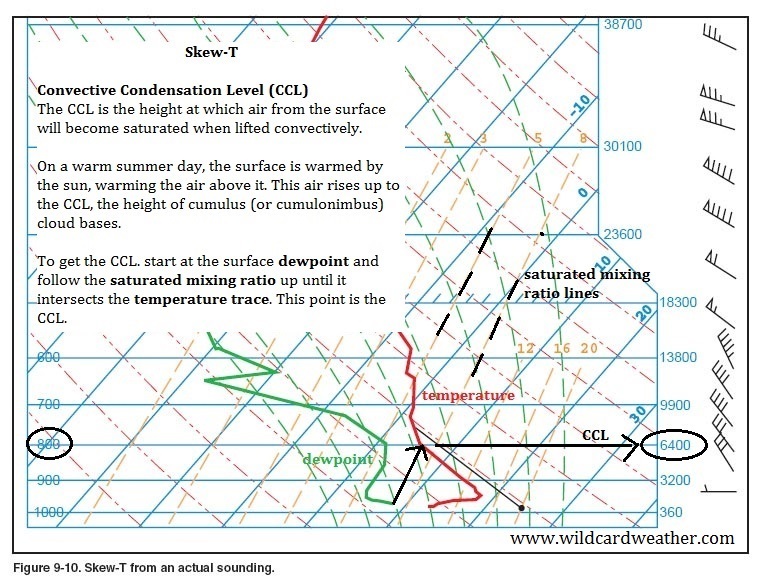 I know some of this may be quite technical, but I feel this is a useful skill for the weather enthusiast or amateur meteorologist. I will mention that although Skew-T’s can come in a variety of designs and colors, all of the rules here will still stand. The rest will be in pictures, click on them to enlarge them. Good luck! Thank you for this great beginners article for total NOOBS to skew-t like me. 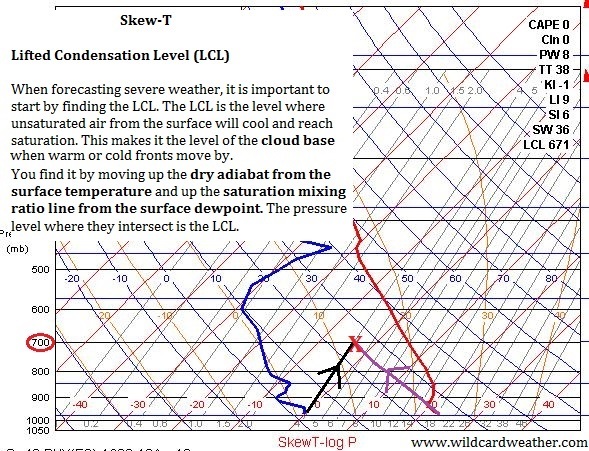 I still have lots to learn but this is the best intro to skew-t I have found yet. Thank you! I’m so happy to hear that.